A bridge from Burano links it the island of Mazzorbo (ancient Majourbium), which back in Venice's heyday was yet another island once famous for its gardens and villas. Even in the 18th century could still boast a dozen churches. Now it has mostly empty space to offer between its scattered cottages, though students of residential architecture may be interested in the island’s new communal houses designed by Giancarlo De Carlo, inspired by the traditional houses of Burano (and painted bright blue too, to make the Buranelli feel at home). 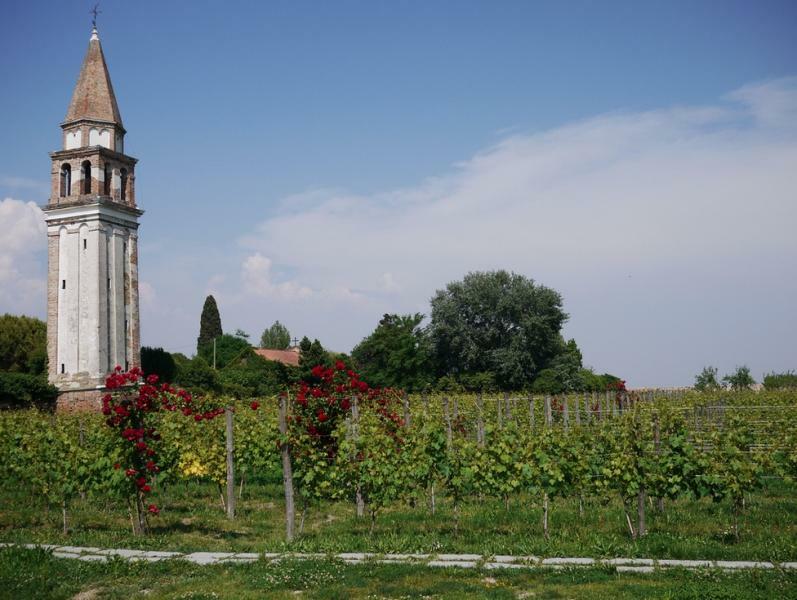 There's a boutique hotel, the Venissa amidst Mazzorbo’s recently replanted vineyards, and on southern end is its one surviving church, Santa Caterina, a handsome medieval effort with a wooden keel roof, rebuilt in the 15th century.